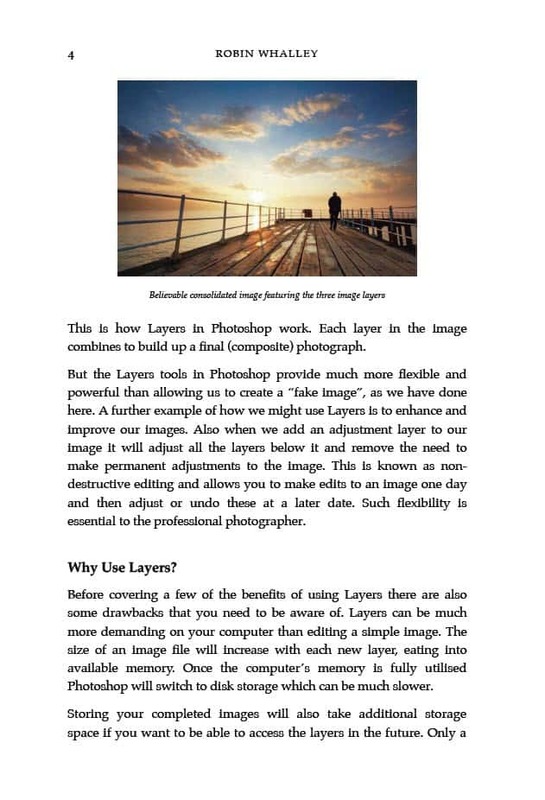 If you want to achieve professional results, using professional techniques, this Photoshop Layers book provides the essential information. Layers, Layer Masks and Blending Modes are the tools of choice amongst professional image editors. In this concise book, I guide you through these essential tools and techniques. Specifically designed to meet the needs of the photographer, this guide is packed with easy to follow examples and advice. To support the many examples, I have made the images from the book available. These can be downloaded from this website, allowing you to practice on your own computer. This is a concise book focused on helping you develop your Photoshop skills. Don’t waste valuable time, needlessly wading through pager of filler content. 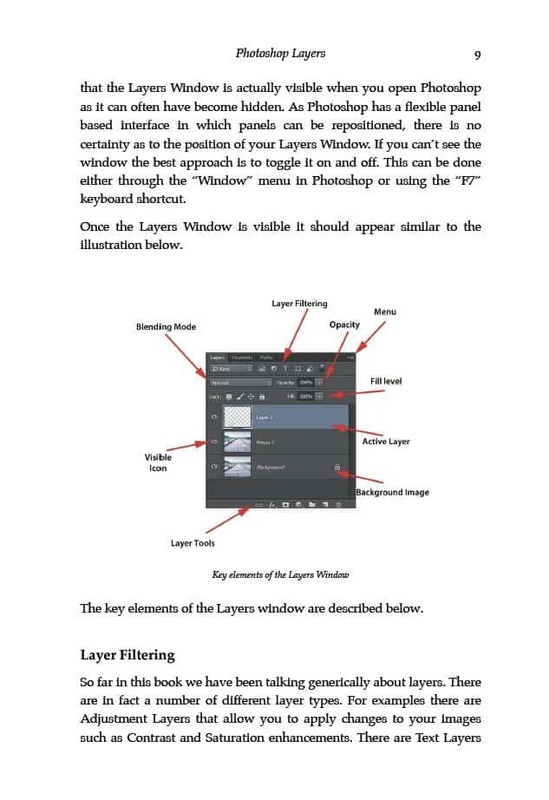 If you want to learn Photoshop Layers fast, read this book. Section 1 explains how to work with layers and how you can apply their power to your photography. Section 2 looks at using masks together with layers. You will learn how to easily target adjustments onto precise areas of an image. You will also learn powerful techniques to create complex masks with ease. The section concludes with a detailed example, combining two images seamlessly into one. 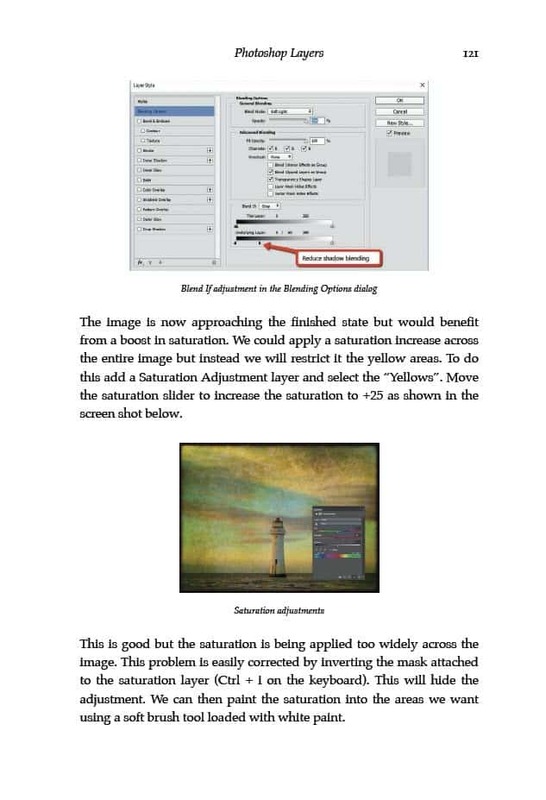 Section 3 examines how Photoshop blending modes can be used with layers. It will help you quickly understand the different blending modes, what they do and how you can use them. Several blending mode recipes are presented to reinforce your understanding of the different modes. The section concludes with a powerful demonstration of blending modes, combining photography and image textures into beautiful digital art. The PDF version of this book has 138 pages. 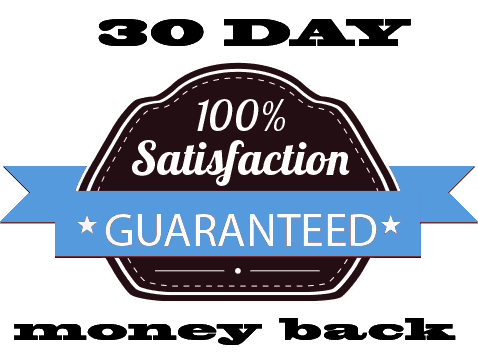 The page count in other formats will vary depending on the format and reader.